The City of Liverpool will be marking the 30th anniversary of the Hillsborough tragedy by falling silent for a minute at 3.06pm – the exact time at which the FA Cup semi-final match between Liverpool FC and Nottingham Forest was stopped on 15 April 1989 – in remembrance of the 96 people who lost their lives and were found to be unlawfully killed. The University fully supports staff and students who wish to observe this act of remembrance. For those who can and wish to, you are invited to meet in University Square to observe the silence at 3.06pm on Monday, 15 April. 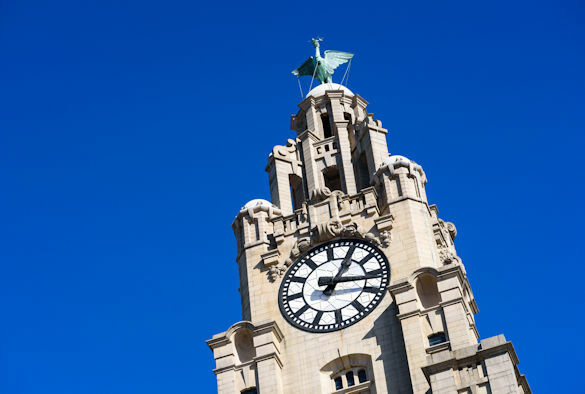 As a mark of respect flags on civic buildings across the City (Cunard Building, Town Hall, St George’s Hall and Central Library) will be flown at half-mast and bells at the Town Hall will toll 96 times. From Saturday, 13 April, nine banners will hang from the front of St George’s Hall featuring the images of the 96 who lost their lives, along with the words ‘Never Forgotten’. From the morning of Monday, 15 April, 96 lanterns with lit candles will also be displayed on the steps of the Hall, and members of the public are invited to pay their respects and can leave tributes if they wish.